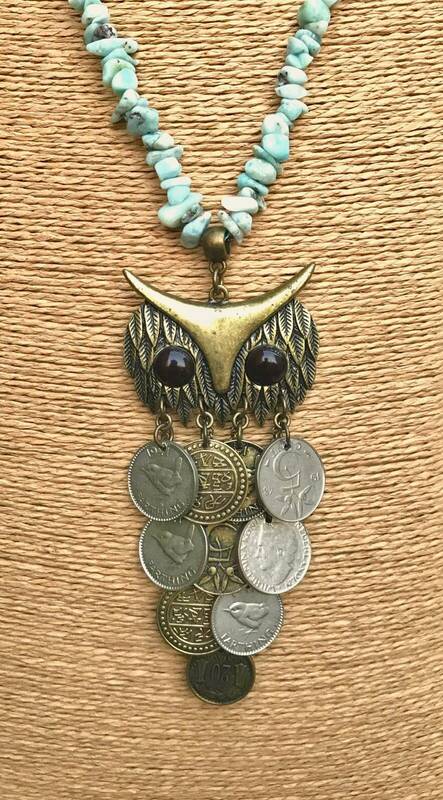 Beads of Larimar and amazonite, with beads and metal chain bronze and hanging owl and coins. 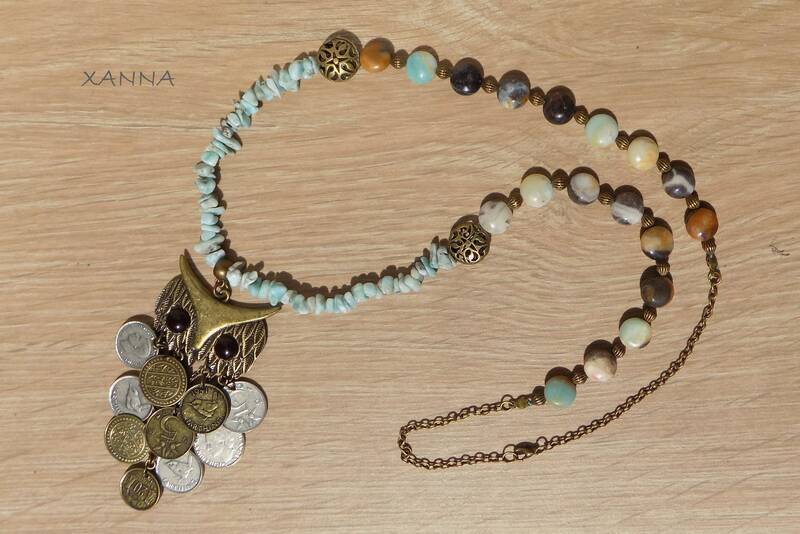 Total length of necklace with pendant: 49 cm. It is said that the Larimar induces us to take the reins of our life, helps to end the fear, suffering and excessive emotions, brings inner rest, facilitates the creativity, widens the perception, is a very effective stone for those who seek the Companion of his soul, facilitates the healing of the relationships of life, or of heart traumas. 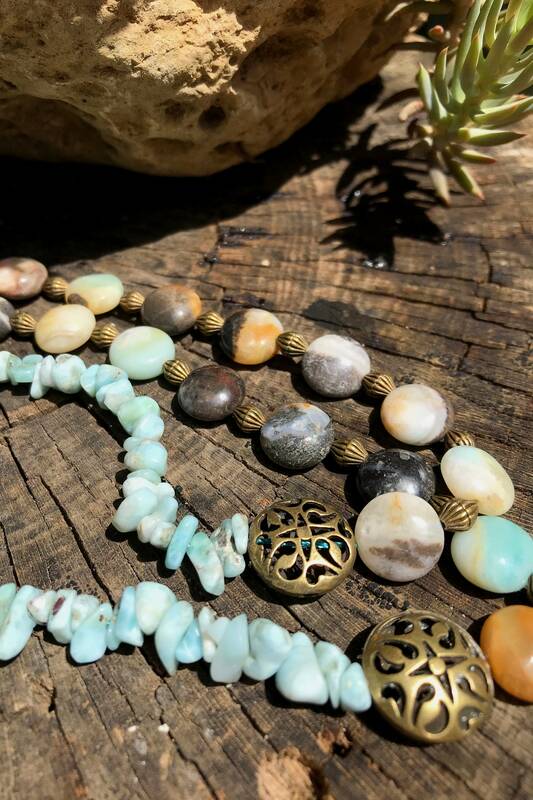 It is said that Amazonite absorbs the emanations of the electromagnetic mist, stimulates self-determination incites to take the reins of our own life. Allegedly eliminates grief and anxiety having a relaxing and soothing effect. Calms anxiety and fears as well as nerves and insecurity. 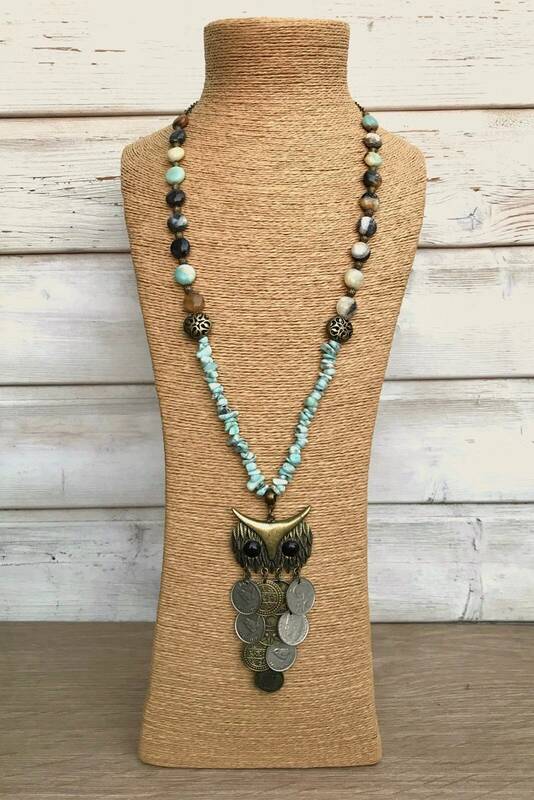 Provides intuition. Fades and eliminates, negative energy and dislikes.